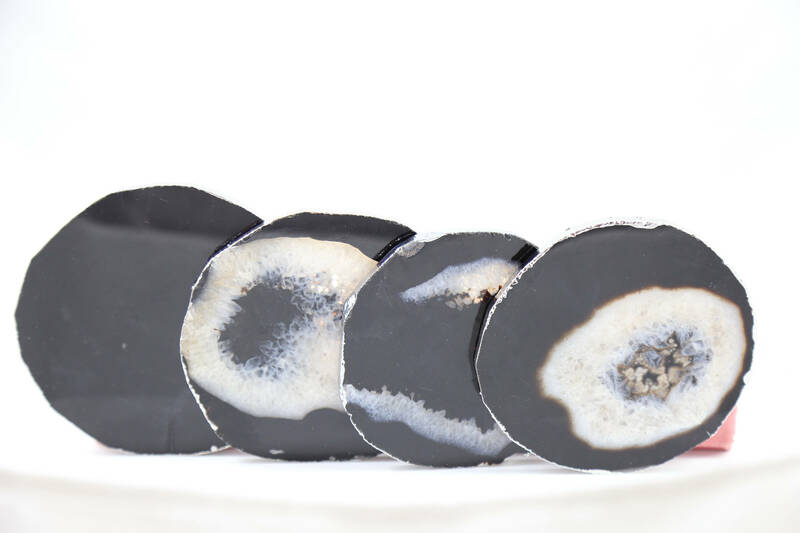 Our beautiful black agate slice coasters have silver or gold edges for a finished look. 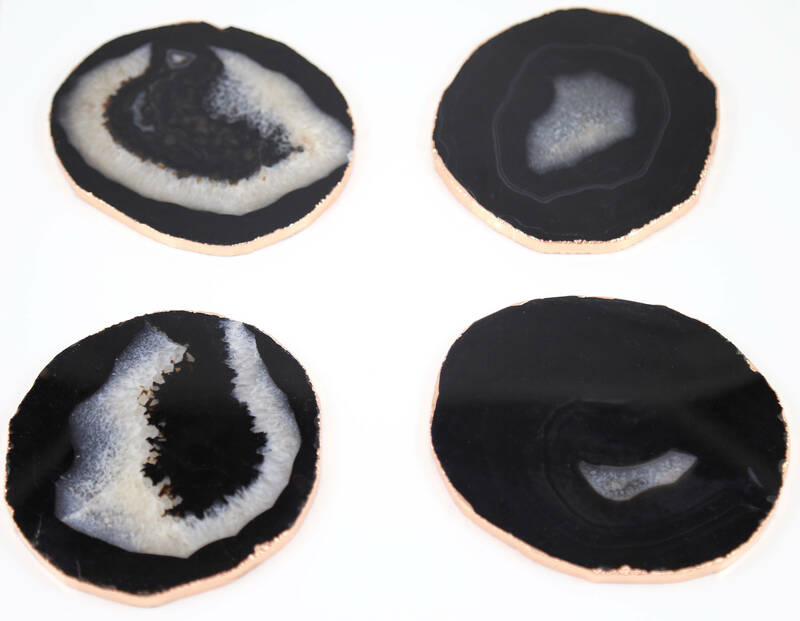 Each coaster is unique with black on the outside and a swirl of white crystals in the center. 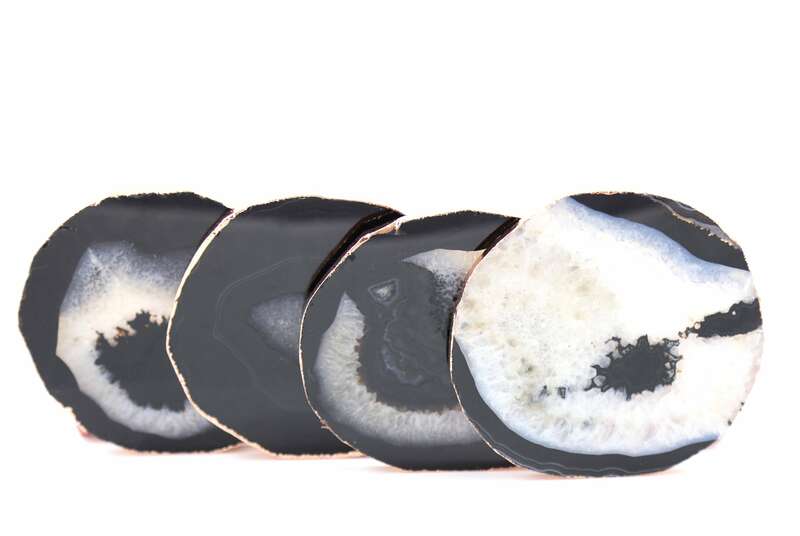 These stone coasters are fairly large, measuring from 3 1/2"-4 1/2" inches. 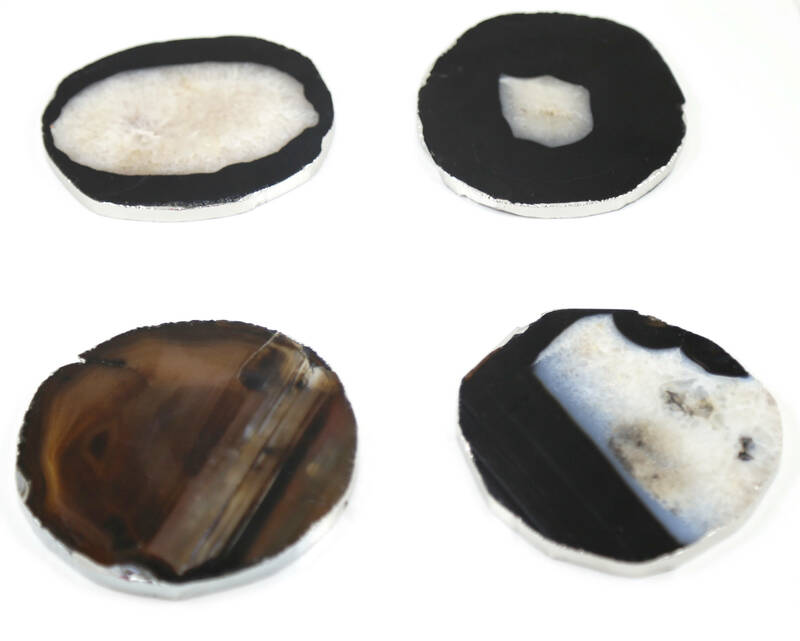 The coasters in this set come with clear bumpers to protect the agate slice as well as your table.